Police arrest 25 criminals during overnight raids in Karachi. 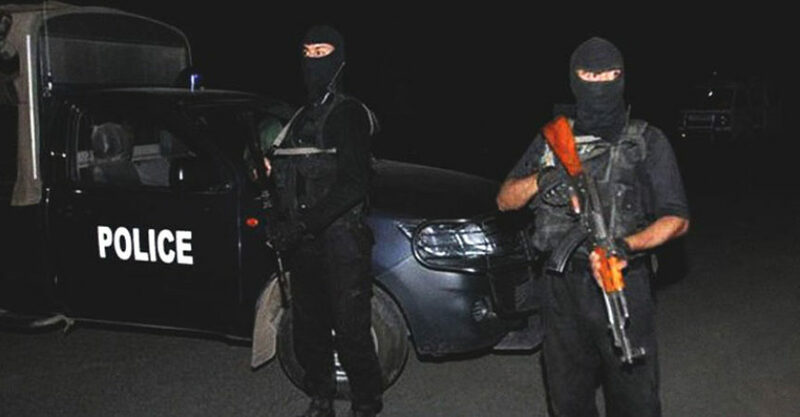 According to the report, 25 criminals have been arrested by the police as a result of nightlong seizures in Karachi. The details of the police raids reveal that a criminal from Ibrahim Hyderi, a locality in Karachi, was arrested. He had hurt two people who tried defending themselves from getting robbed and then he was about to escape. In the meantime, two drug dealers were caught by the Darakhsan police force. They were carrying hashish and cash with them. The garden police caught a man in the area who made ‘Gutkas’. Furthermore, the south cops got their hands on 15 people. They were allegedly selling illegal products. 8 culprits were detained on 1st December. These people were caught from different areas of Karachi in a combined procedure by the Sindh Rangers and local police. Sources tell that 8 culprits were caught as a result of a joint operation by Sindh Rangers and police from Memon Goth and Essa Goth. They were found at late midnight on Saturday. The police seized betel nut, machinery to produce ‘Gutka’ and illicit arms from the offenders. On November 20, 12 people were arrested from Bhangoria goth, an area located in Azizabad. This was during an operation of the LEAs. The SSP Central Karachi told the media at a conference that 3 motorcycles had been retrieved from the detained offenders. Moreover, two security forces have been carrying out operations all around the city to ensure peace and law enforcement.